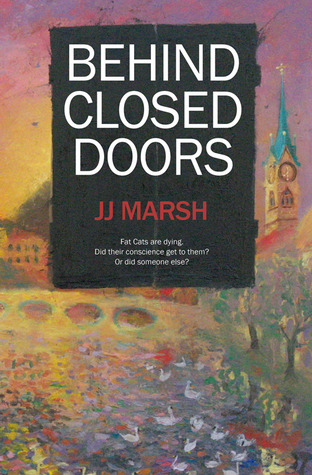 Behind Closed Doors by JJ Marsh is an international thriller that revolves around the deaths of unscrupulous businessmen. It’s a well written novel that engages the reader from the offset and keeps us guessing right until the very last page. 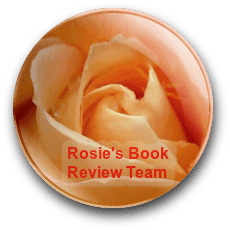 The bulk of the novel is set in 2012 when Scotland Yard Detective Beatrice Stubbs is despatched to Switzerland to head up a team of multi-agency staff investigating a spate of seeming suicides amongst the echelons of power and money. It’s a high profile case with the potential to ruffle lots of important feathers. However, Detective Stubbs is nothing if not tenacious and thorough, refusing to take the easy route of accepting the deaths as suicide. It is Beatrice Stubbs who is the heart of the novel and she makes a compelling protagonist. Middle-aged and frumpy, Beatrice is a refreshing champion for ordinary working women. She is the perfect mix of hard working, courageous and neurotic. I applaud the way that Marsh examines mental health issues through Beatrice who has Bipolar and has regular telephone counselling sessions to keep her afloat. Beatrice’s Swiss counterpart is the middle-aged, grumpy Karl Kalin who, in his own way, is just as dysfunctional as she is. Their initial encounters are hilariously brusque and prickly but over time a mutual respect develops and by the end a tentative friendship emerges. The rest of the team are made up of experts from throughout Europe. Chris Keese is from Europol, Sabine Tikkenson is an Estonian crime analyst, Conceicao Pereira da Silva is a DNA advisor and Xavier Racine, a young Swiss detective. All of the team are likeable and the procedural police work is offset by hints of the team’s personal lives. Although the novel is in parts quite dark, there are flashes of humour which prevent it from becoming too heavy. Beatrice for example is a creature of habit whose main concern at taking a job overseas is that she will miss her daily fix of The Archers. Chris Kees is a hapless womaniser whom the reader realises is barking up the wrong tree long before he does. Marsh makes the most of the setting and her descriptive language is very visual and filmic which is particularly effective. As the team travel around Switzerland and further afield to visit murder scenes, the landscape plays a huge part. Also as the plot involves the world of big business and wealth, the sense of opulence and extravagance is never far away. There is no doubt at all that Marsh is an accomplished writer and she skilfully navigates the different threads of the story before bringing them together in a successful denouement. A technique that she uses to give background to the murders is to intersperse the ongoing narrative with flashback chapters. In doing this she allows us to get to know the victims and see the murders take place. This adds to the mystery but also slowed the story down somewhat and for me felt a bit intrusive each time my attention was diverted away from the primary story. I really enjoyed that Marsh uses her story to ask questions about morality and retribution. The victims of the crimes are all despicable people who have caused much harm to others, people who we might say deserve what they get. Marsh explores the corrosive nature of vigilantism however and the fine line between wrongdoer and executioner – does setting ourselves up as judge and jury not lead us into becoming the very people we are trying to punish? The novel on the whole is a reflection of Beatrice who stresses to her team that it’s the “daily slog of solid police work” that solves cases. The plot builds slowly and with each layer our tense anticipation mounts until by the end we are desperate for answers which Marsh provides in a very satisfactory manner. 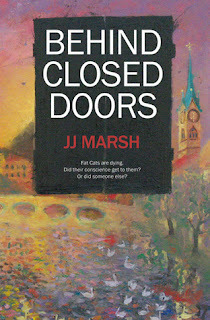 I really enjoyed Behind Closed Doors and warmed to Beatrice Stubbs who also features in other JJ Marsh novels. If you like an intelligent police procedural thriller with realistic, down to earth characters then you’ll love this one. Thank you E.L, a very interesting and detailed review. Goodness gracious! I cannot tell you how thrilled I was that someone 'got' Beatrice so fully. Your third but last paragraph almost exactly reflects my original notes. It's such a joy to get a review by an intelligent, observant reader.